RUSH: Grab audio sound bites number 20 and 21. Classic illustration. Major point made on the program yesterday. And particularly I think a valid point if you’re trying to convince Millennials of something. Let me restate it a slightly different way. As we know, Millennials are frustrated economically. They come out of college, they have student loan debt that is oppressive. They’re looking at maybe not being able to pay it back for a long, long time, many of them still have to live at home with mom and dad. Why? The job market is still not there because economic growth is still not there. The Trump economic growth agenda, like the rest of it, has been stonewalled. The tax cuts and the Obamacare repeal and replace are a major, major part of reigniting the economy. We know what’s going on with Obamacare. There simply is no desire to do anything about it that will redound to success for Trump. That’s key. Tax cuts. Nobody’s talking about it. I mean, they’re talking about it, but there isn’t any serious movement on it. There isn’t any serious movement in Congress on advancing the Trump agenda whatsoever. So economic growth is still stagnating, and in the case of Millennials and the next generation, Generation Z, in many of their lives that’s all they’ve known. They have not lived through 4%, 5% economic growth. They have not lived through economic expansion. They grew up in the era of 9/11. They grew up with Obama and the Democrats regularly criticizing America, blaming America, suggesting that America’s salad days are behind us. This is what they’ve grown up hearing. And they’ve grown up being taught this, by the way. They’ve been taught that in America’s past, when there was great economic growth, it really wasn’t deserved. That we were slighting other countries, we were stealing their resources or oppressing them or trying to impose our way of life or something that made what we were immoral and illegitimate. The point is they have never known leaders, up until Trump, who are traditional people that love America. They have not known leaders who sufficiently define patriotism and exhibit it and exude it. They’ve known just the opposite. They’ve also grown up — and this is key — they’ve grown up being told that the planet will not be able to provide life by the time they’re 60 or 65. Do not downplay this. They’ve grown up watching cartoons and watching superhero movies and every other movie and TV show, teachers in school, they’ve been drumbeat with the idea of climate change that’s caused by America. Climate change caused by progress. Climate change caused by the expanding use of fossil fuels, expanding use of oil and gas, natural gas, all of these things are destroying the planet. Well, guess what? Saving the planet, to Millennials and Generation Z types, is a big deal. Not all of them, of course, but many of them have really bought into the idea that the planet is being destroyed by America and other countries, but primarily America, and our selfish, profligate use of carbon-oriented energy that is destroying by creating the greenhouse effect. We’re melting the ice caps and sea levels are rising and coastal areas are going to disappear. It is a miserable life. It is a life not filled with childhood dreams and aspirations and uplifting optimism. All that’s been beaten out of them. Now, they graduate from college ’cause that’s also been told the one way out that they have. So they’ve all bought into that, and they bought into the student loan program. They have massive student loan debts. They can’t find jobs yet with sufficient income to help starting pay off the debt. And then they’re — this is the piece de resistance. They have to end up opposing economic growth because the way they’ve been taught, economic growth is what’s destroying the planet. Progress. The increasing use of fossil fuels. All of these things that lead to economic growth, they cannot support. Environmentalism, the devotion to extreme environmentalism requires you to believe in slow or nonexistent economic growth, because economic growth, an expanding economy, more people working, more economic activity is destroying the climate. Now, if you’re over 40, you might think that just sounds utterly ridiculous. And it is. But that’s what they have been taught. They have been browbeat with this. It’s not just been presented as an option. They have been inculcated. They have been propagandized. They have been indoctrinated with this. And I want to show you how it manifests itself. We have two sound bites here from yesterday’s NPR program called Morning Edition. The cohost is guy named Steve Inskeep, and he spoke with a sustainability professor. What have I told you about Millennials and sustainability? When you were in college, could you take a course in sustainability? Was there a sustainability department? Could you get tenure there? Was there a sustainability professor? I mean, it didn’t exist, right? Well, here we are at Lund University in Sweden. That’s the guest. Kimberly Nicholas is her name. Sustainability professor Kimberly Nicholas, and Inskeep was asking her about her recent study on the best ways to reduce our carbon footprint to save the planet. Our carbon footprint gets bigger with economic growth, with economic activity. Millennials are caught in a trap. They cannot support economic growth because it’ll conflict with their environmental views. And at the same time, by not supporting economic growth, they are consigning themselves to economic mediocrity with massive student loans they’ll never be able to repay. NICHOLAS: The single biggest impact that we found was from having a child. The reason for that is because that measure accounts for all the choices that that child would make in their life and their descendants. INSKEEP: What did you think and feel when you reached that conclusion? NICHOLAS: Certainly it’s not my place as a scientist to dictate choices for other people, but it is my place to do the analysis and report it fairly. Something really important we found is that most government recommendations weren’t really talking about what made the biggest difference, and they weren’t quantifying how big of a difference it made. 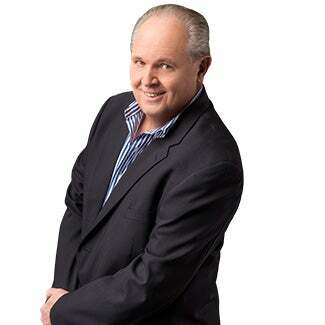 RUSH: Now, we did not do anything to the tape. We didn’t speed it up; we didn’t substitute voices. That’s how she really sounds, folks, exactly as I imitate them. That’s exactly how they sound. (imitating Nicholas) “The single biggest impact that we found was from having a child.” You know what she’s saying here? The best thing you can do to stop climate change, the best thing you can do is to stop having babies! What does it mean? She is saying that human beings present the greatest challenge to saving the planet. This is insane! And I’m gonna tell you, those of you who have not been around long enough, way back in the eighties and early nineties the militant environmentalists back then got this crusade going, that human beings were the greatest problem to the environment. Human beings were the biggest polluters. Human beings were the greatest destroyers of the environment and of the planet. In other words, you have a kid and your kid’s gonna do stupid things like eat Big Macs and other forms of meat. Your kid is gonna drive a car. Your kid is gonna do all the things destroying the planet. Millennials have been roped into this. Culturally with peer pressure, they have to believe this stuff or they’re gonna be shunned by their buddies. Damn these communists are smart, folks. They wanted to destroy the U.S. economy, and look at how they’ve done it. They’ve equated economic growth and economic progress, economic prosperity, the improvement in one’s standard of living with destroying the planet! And they’ve succeeded in corrupting how many young people’s minds with this, that economic advancement — improved standard of living has been the human being objective since Adam and Eve. 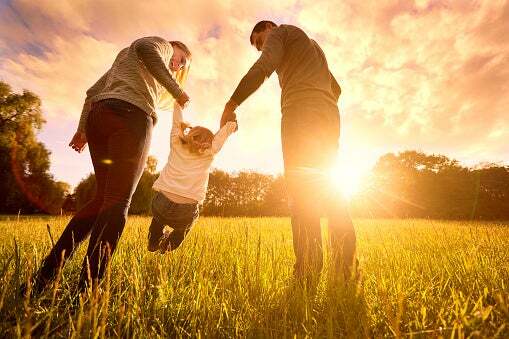 Providing for your family, making a better life for them than you had. That’s been the objective. It’s human nature to improve one’s standard of living. That’s why innovation and invention have created the things that have increased productivity. Look at air-conditioning. Look at a simple thing like that, what it has meant for economic growth. But how is it portrayed today? Why, it’s destroying the planet, don’t you know. All that Freon and other gas, it’s aerosol cans and ozone layer, and it’s been a never-ending cacophony. And now young kids are crusaders for this. So they have essentially doomed themselves. And now we have a sustainability professor who’s telling them that the biggest threat that we have is having a child. The worst thing you can do for the planet is have child. “Well, it’s certainly not my place as a scientist to dictate choices.” Bull. Damn right that’s what do. You do dictate choices for people. It’s exactly what sustainability professors do. Anyway, Inskeep was so mesmerized, he didn’t even interrupt with another question, and the babe just kept going. INSKEEP: May I ask you a personal question? INSKEEP: Do you have kids? NICHOLAS: I don’t. It’s a choice I’m thinking about right now and discussing with my fiance. INSKEEP: Oh, congratulations. You’re getting married. That’s great. NICHOLAS: Thank you. It is great news, and he is wonderful. And of course having a child is one of the most personal decisions people can make. There are many, many factors that go into it. For us, because we care so much about climate change, it is a factor we’re considering, but it’s not the only one. RUSH: Can you imagine? This woman is probably engaged to some Pajama Boy that might have not won the audition for one of Obama’s TV ads on sustainability. She’s engaged. She’s engaged. She’s trying to decide whether to have children because of climate change! She deciding. Why even get married? What’s her name here? Kimberly. Kimberly, why get married? What is the point if you’re not gonna have kids? I know some people do it, but to actually be sitting here pondering whether or not she’s going to have kids because of the carbon footprint of the child.